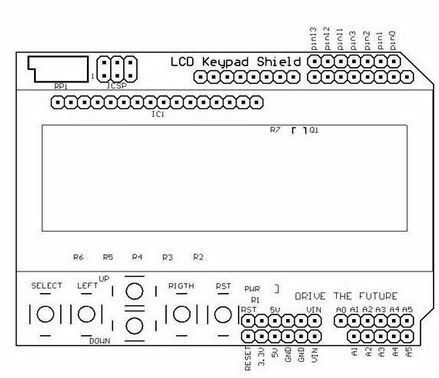 How to use 16×2 Character LCD + 6-buttons Keypad Shield ? 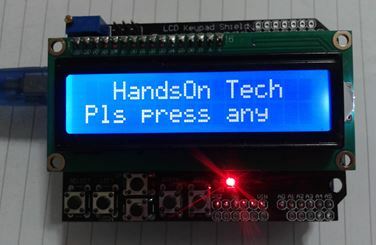 The LCD-Keypad Shield attaches to your Arduino board to provide a 16-character by 2-line display, white character, blue back light LCD with a keypad consisting of 5 keys > “select”, “up”, “right”, “down” and “left”. With this shield you will be able to move through menus and make selections straight from one board attached to your Arduino without requiring a massive tower of shields or wiring tangling around. 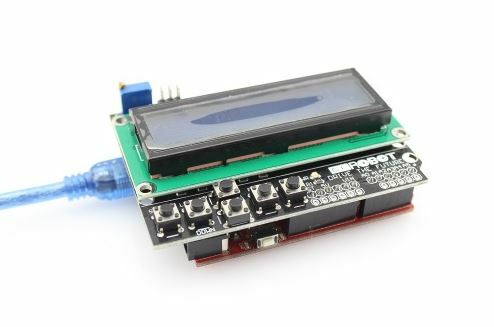 The LCD-Keypad Shield works perfectly in 4-bit mode with the “LiquidCrystal” library found in the Arduino IDE, using this library will allow you to control the LCD with only 6 digital I/O lines. This shield provides you with the capability of pushing multiple buttons at once and combining the results. No longer will you be restrained to only 5 inputs, now you have the ability to make use of 32 different button combinations! 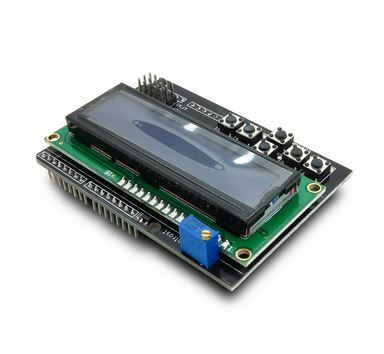 This LCD Keypad Shield use total of 6-pins to control the LCD display which is pin-4, 5, 6, 7, 8, 9. For LCD Data, it use pin-4, 5, 6, 7, while for the RS and Enable pin, it use pin-8 and 9. The Arduino-LCD Keypad Shield are only required to plug into the Arduino main board and there was no soldering are required such as shown in figure below. Fig-1: Plug the LCD+Keypad Shield directly onto Arduino Board. The below code listing demonstrate the use of this LCD+Keypad shield. //  LiquidCrystal(rs, en, d4, d5, d6, d7). int analogPin = A0;  //Define the A0 as analogPin as integer type. // when a key is pressed. // Define each key as character string type for keypress display. The code is self explanatory with the detail comments. Compile and upload the code into Arduino board and watch the result. Once the code is successfully compiled and upload into Arduino board, you should see the display as above shown.